Few things inspire more passion than sports! Whether you love baseball, hockey, soccer, or football, you know that sports are one of the best ways to get active and connect with a community of like-minded people. 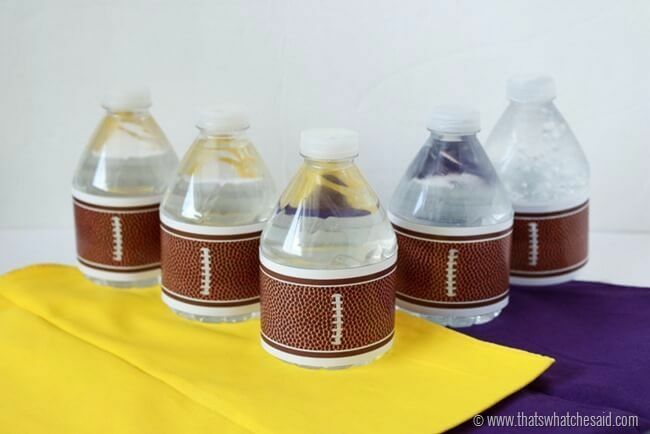 Nothing compares to running around on the field, but sports-themed DIY crafts are the next-best thing! This list has something for every age group, so grab your sports-crazed kids or a friend and get ready to be inspired. 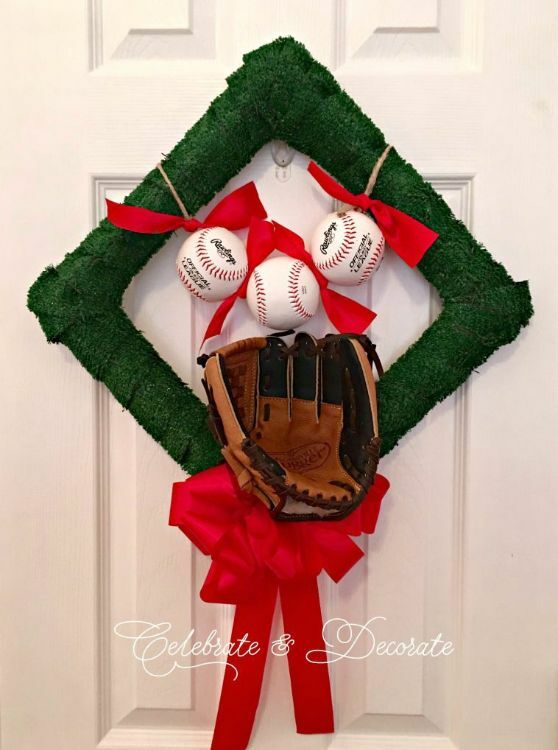 Wreaths are usually for reserved for Christmas and other holidays, but there's no reason you can't celebrate baseball season by hanging a cute wreath on your front door! You can find the instructions to make this one (and some other awesome projects) over at Celebrate and Decorate. How much do you love this tiny football field? The grass in this pot was grown from seed, so you'll need some patience while you wait for the seeds to sprout. It's such a fun ongoing project, especially for kids! Learn more about the process here. Would you have guessed that these awesome necklaces were made with washers from the hardware store! If necklaces aren't your thing, you could also incorporate the washers into key chains or bracelets. 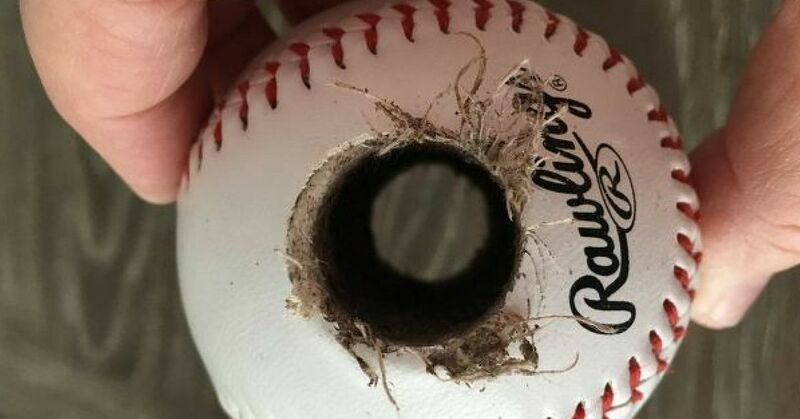 You can learn exactly how they were made here. 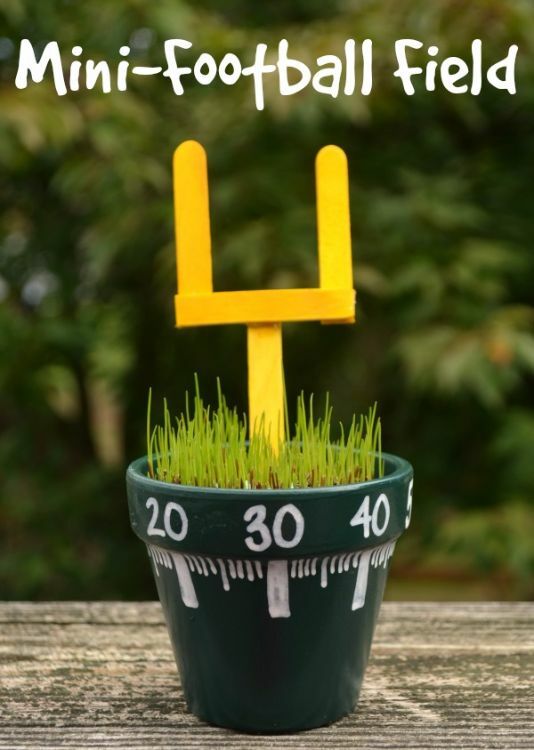 If you're short on time, this is one of the easiest DIY projects you could possibly do! 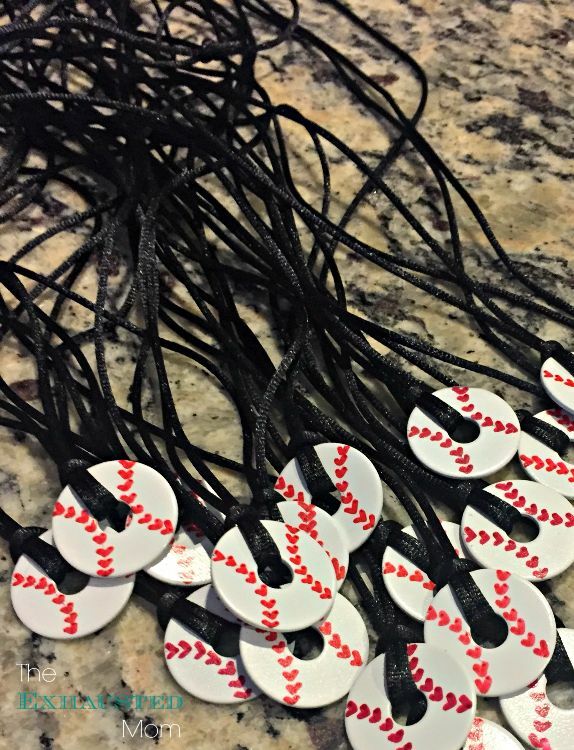 These would make great little gifts to hand out to your kid's teammates, but they could also be sold as part of a fundraiser or made just for fun. Find the label template and instructions here. Mason jar crafts will never get old! 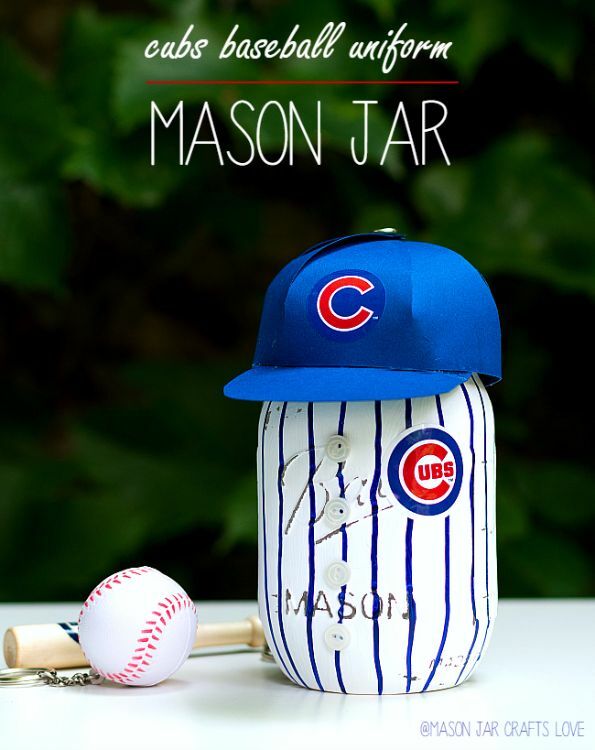 This jar was made to support the Chicago Cubs, but you can easily customize it to represent your favorite team. This tutorial will show you how to make the jar from start to finish (and you can learn to make a paper baseball cap here)! 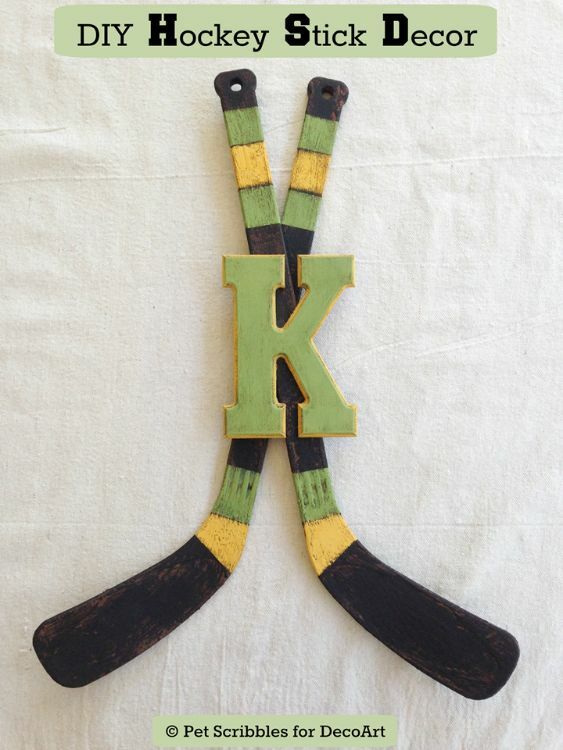 This craft is perfect if you're looking for something to do with a group of people who all like different sports! 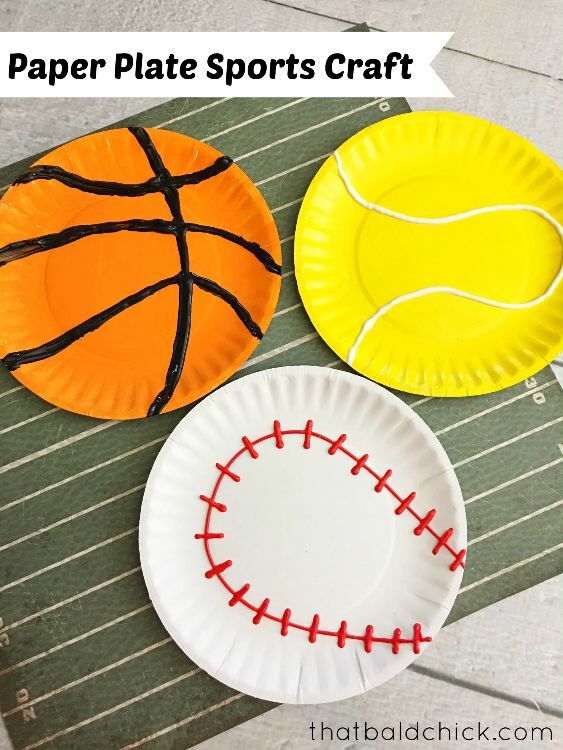 It's also fairly simple; you don't need anything but paper plates, paint, and some puffy paint to create the raised designs on the balls. Learn more over on That Bald Chick. 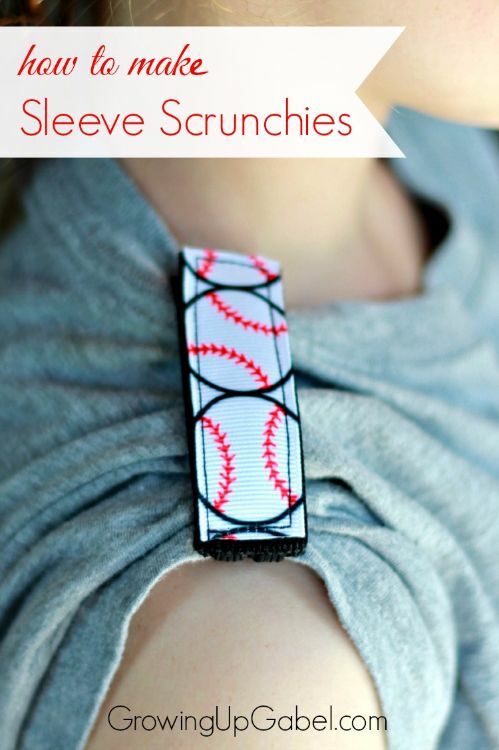 Looking for something that will stop your sleeves from sliding down while you're playing sports! Look no further! These sleeve scrunchies are easy to make, and they can be customized to represent your favorite sport or your team. 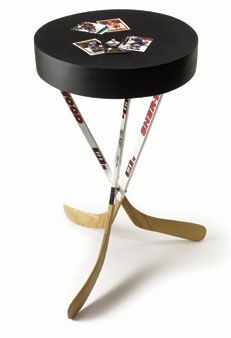 Support your favorite hockey team with a sleek hockey-inspired side table! This project requires some carpentry skills and tools, but you can learn how to make one for yourself here. 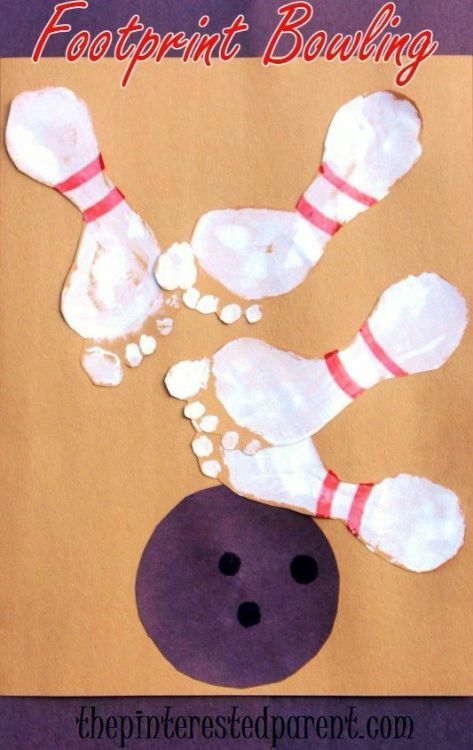 Bowling is such a great family activity, and so is this adorable footprint bowling craft! Who would have thought that a footprint could look so much like a bowling pin? You can find out exactly how this craft was made on The Pinterested Parent. 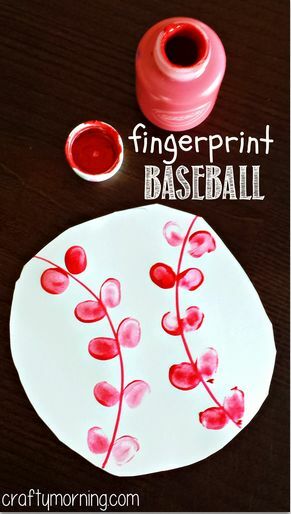 After you've finished making bowling pins with your footprints, why not make a fingerprint baseball or two? This craft might get a little messy, but you don't need anything more than white paper, scissors, and washable red paint. Learn more here! 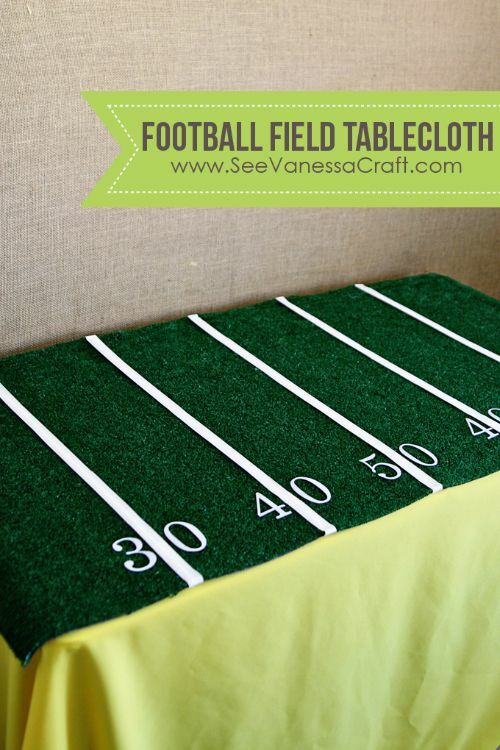 This tablecloth is made using artificial turf from the hardware store, and it would be just perfect for a football-themed party! It looks more difficult to make than it actually is, and you can find the tutorial here. If you're a hockey fan, why not show some love for your favorite team by hanging up this vintage-looking piece of wall art? Pick up some plastic hockey sticks from the dollar store, and follow the tutorial over at Pet Scribbles. You probably can't wait to run off and make some of these awesome DIYs for yourself, but remember to share this article on Facebook before you go!